A stunning single 27" carbon steel blade straight 'Last Samurai' sword. Complete with stand with Chinese writing. The full length of the sword measures 39". 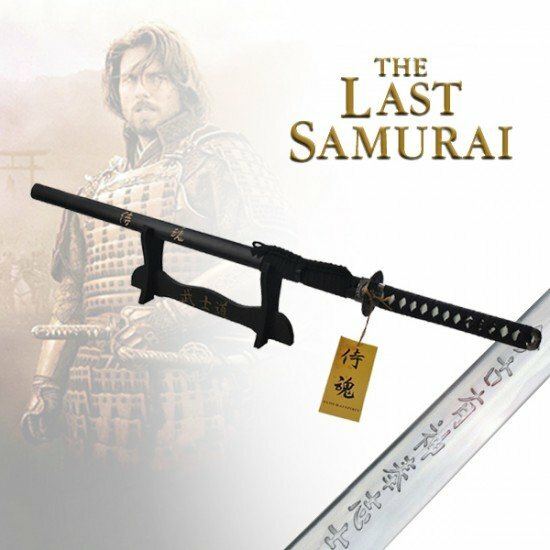 Please note this is a display sword and this particular sword does not have the writing on the blade like imaged, if you want the sharp version which is a better quality replica of the movie version, look for the hand forged option.